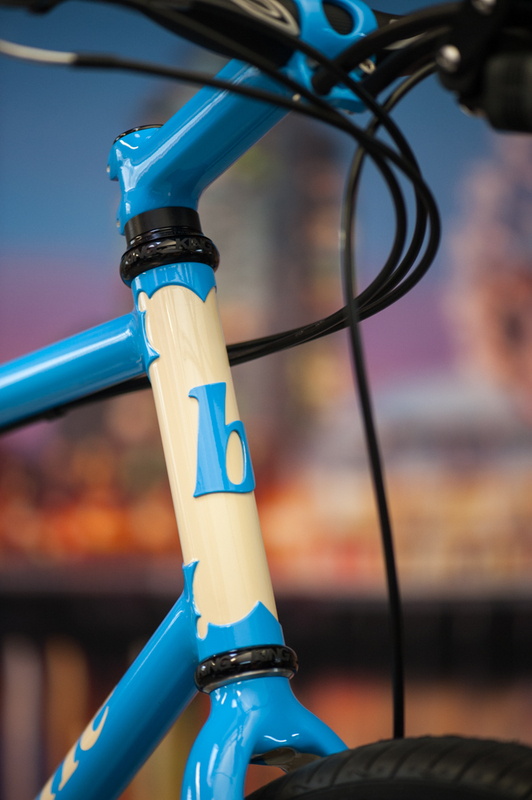 NAHBS 2015 - Flashback Fabrications Ltd.Flashback Fabrications Ltd. 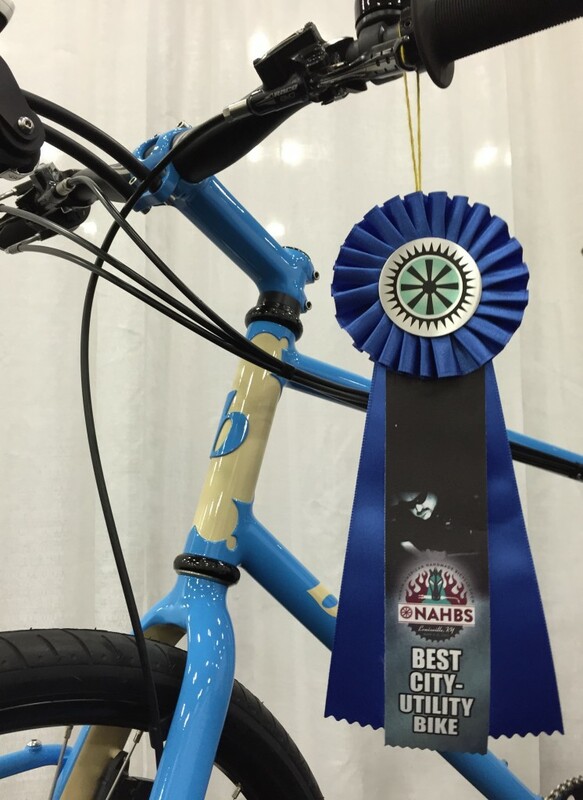 The Men’s Journal online has published an article entitled ‘The 12 Coolest Bikes in America’, and Paul’s ‘Brodie City Bike’, which won “Best City Bike” at this year’s NAHBS, is featured. Below are photos! 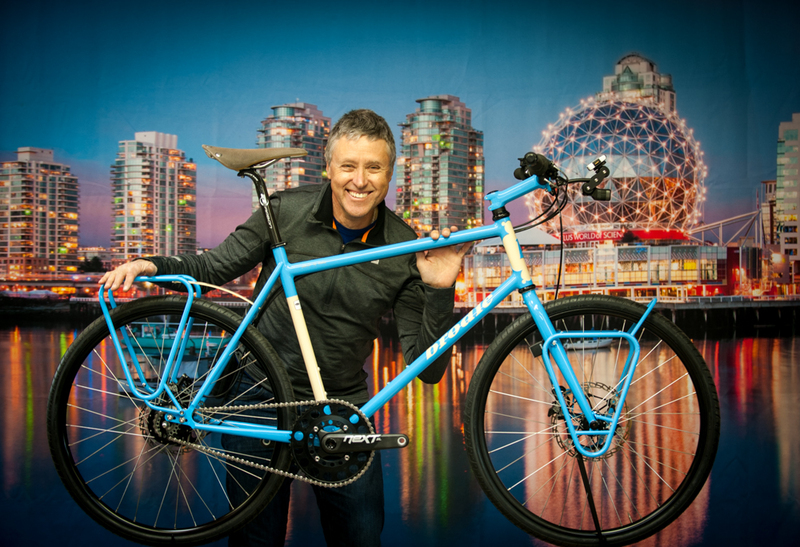 It’s February 28, 2015 and we’re off to the North American Handbuilt Bicycle Show next week. This year, the show is in Louisville, Kentucky, March 6-8. 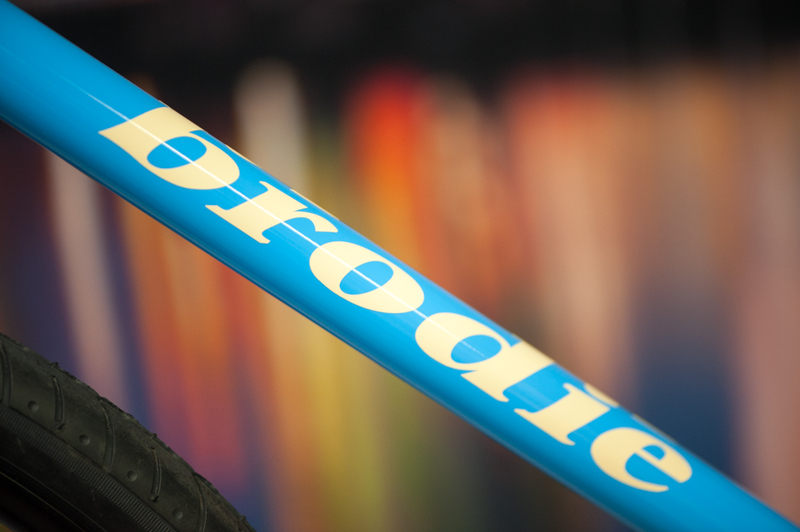 Below is the new Brodie City Bike I am taking for exhibit. Photos courtesy Karen Massier. 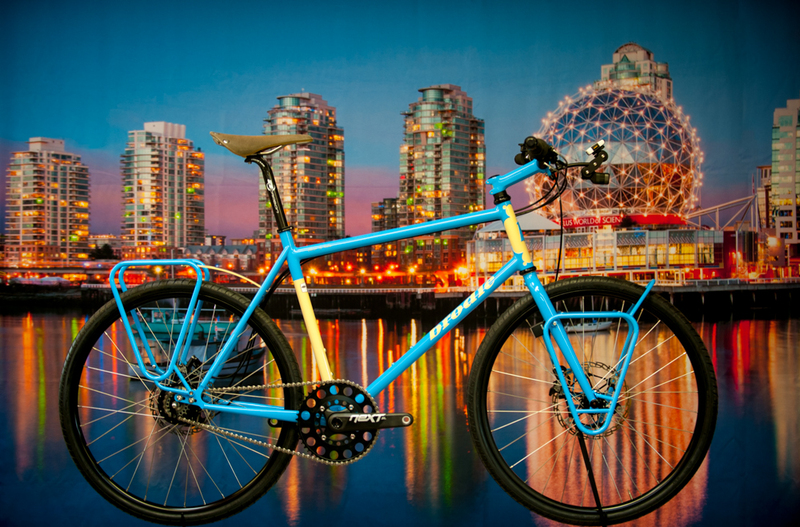 Brodie City Bike with the Vancouver skyline in the background. 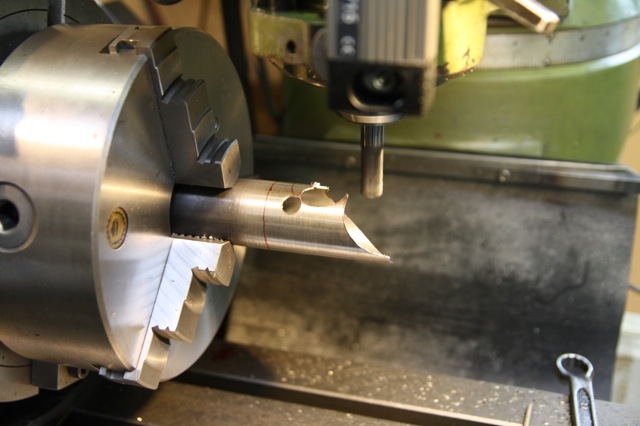 Many months ago using the rotary table on the milling machine to hold the head tube lug while the 1/2″ endmill is used to rough cut the shape. Close-up shot of the manual milling operation; getting close to the red felt pen line traced around the cardboard template. 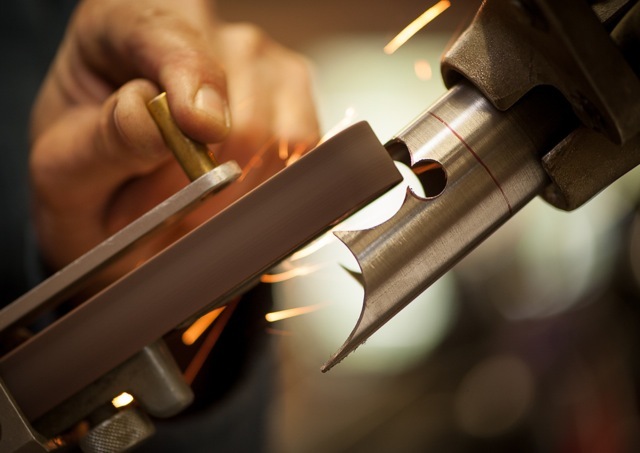 Using a hand-held 3/4″ belt sander to get the final shape right. 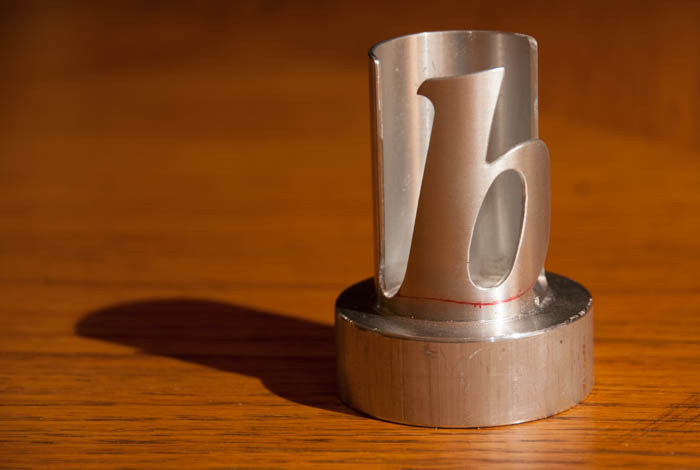 Brazed into place with a 1/16″ nickel silver rod. 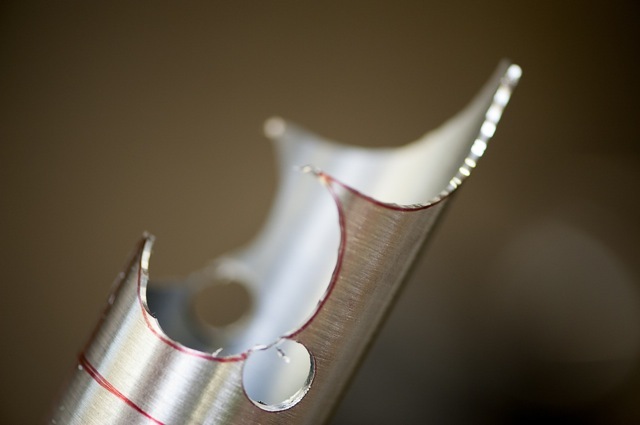 You can also see the fillet braze holding the top tube. Photo courtesy Asad Masede. 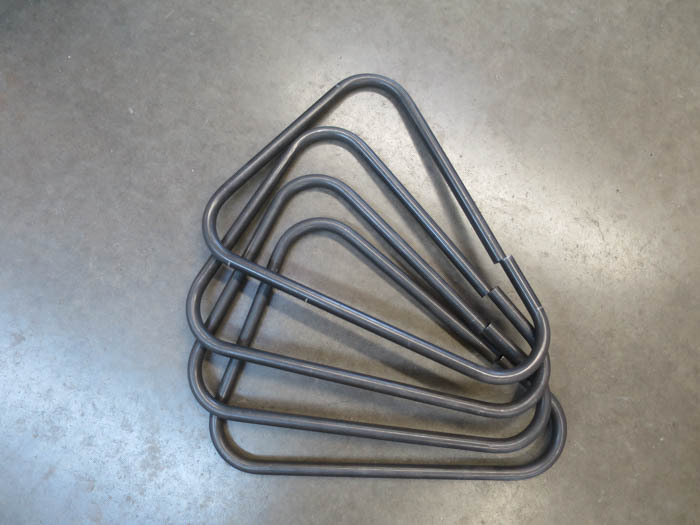 The rack tubing is 1/2″ 4130 cro-mo with an .035″ wall. Very nice CNC bend job by Pacific Bending. Thank you Andrew! No jigs, so this is free-form fabrication. 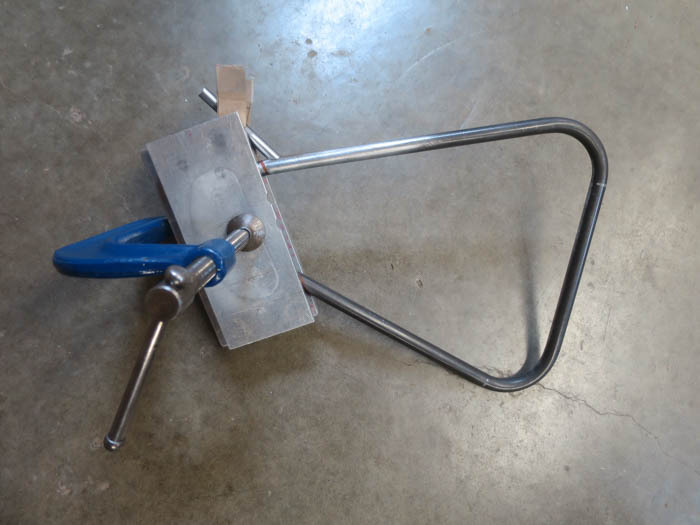 Here a C-clamp holds 2 aluminum plates, and cardboard shims hold the little tube in place for Tig-tacking. 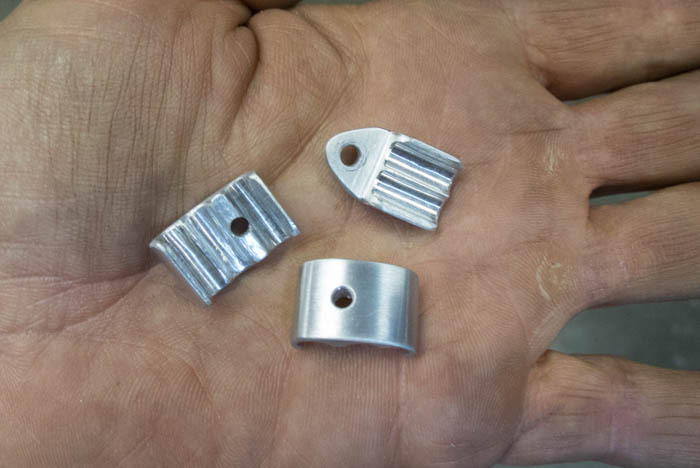 Machining custom cable guides from 6061 billet; they will be fastened to the frame with 3mm s/s button head allen screws. 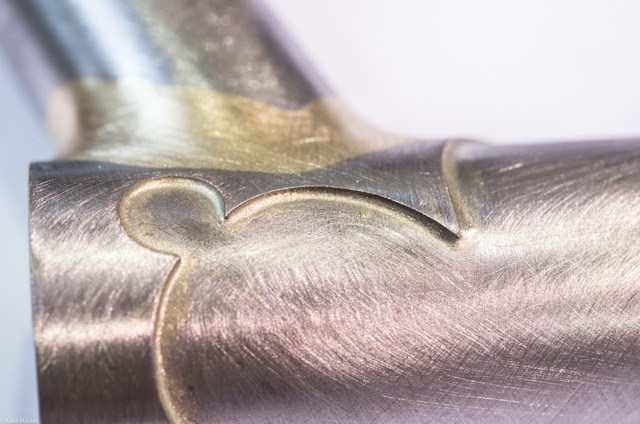 The head badge was machined and hand-carved from 6061 solid. 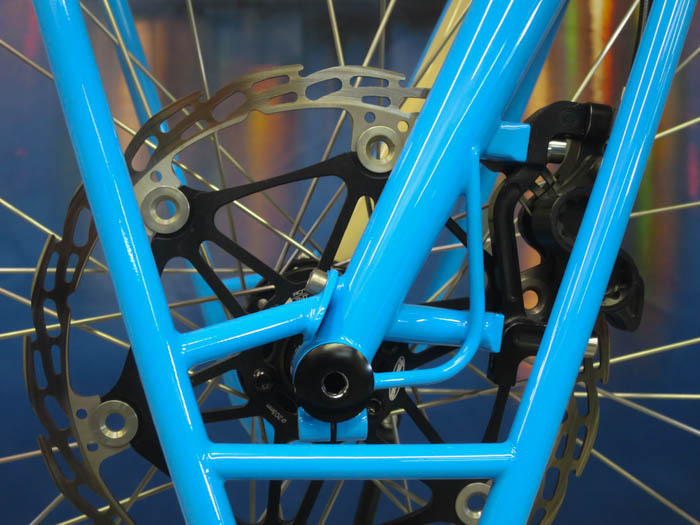 The front end has a Hope disc brake, 203mm rotor, and 15mm thru axle. 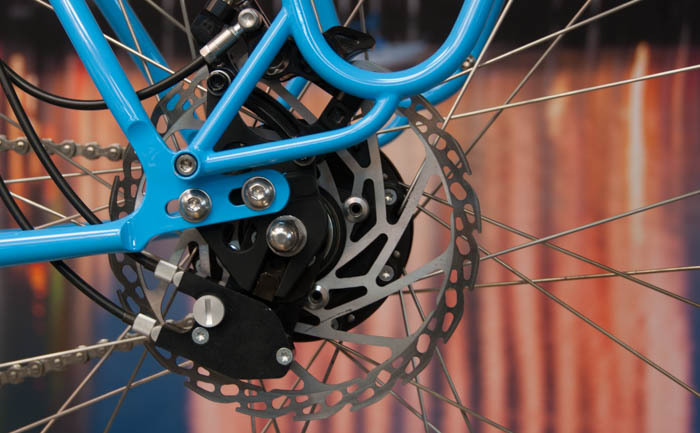 The rear end has a Rohloff 14 speed internal hub with a 180mm rotor / Hope brake. 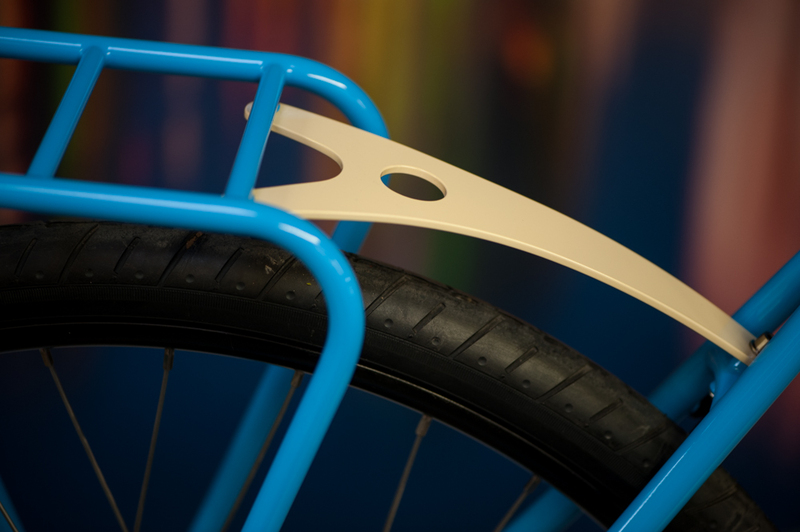 The rear rack holder was formed from 1/8″ aluminum flat bar in a roller, then cut out and shaped. 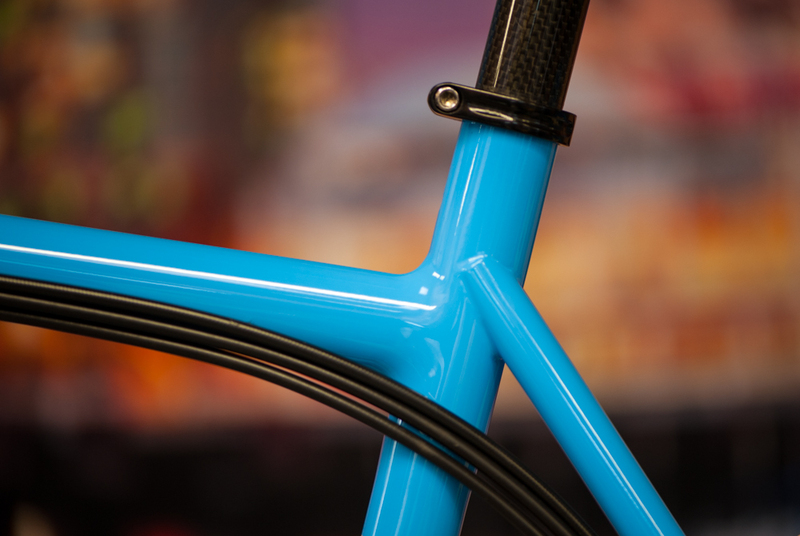 Frame #4265 was constructed with Columbus tubing and a Tange Concept seat tube. 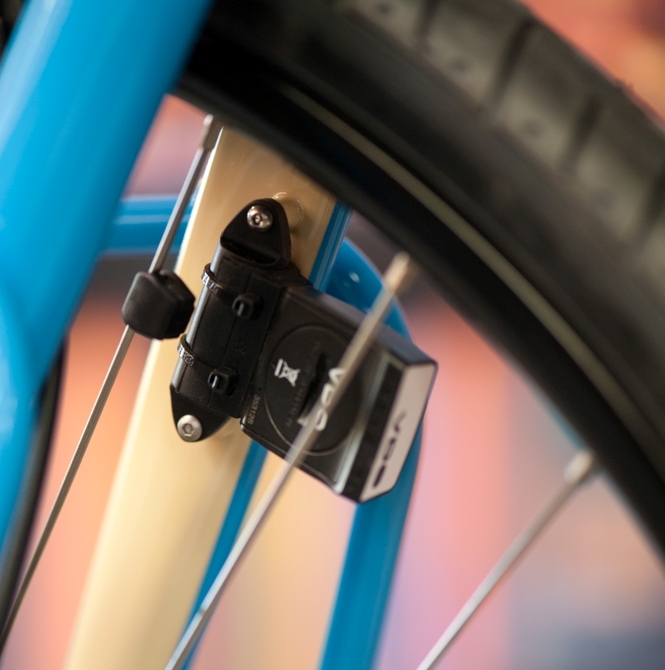 Little braze-ons with 3mm allen screws to mount the computer sensor inside the fork leg. Paint by Paul. Base coat with a couple of Imron clear coats.